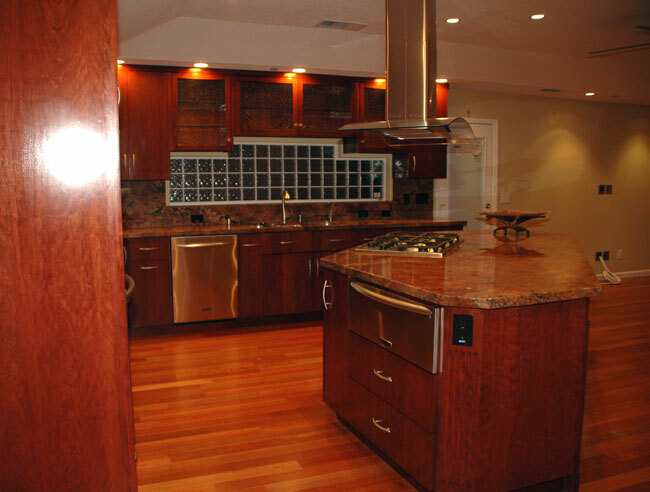 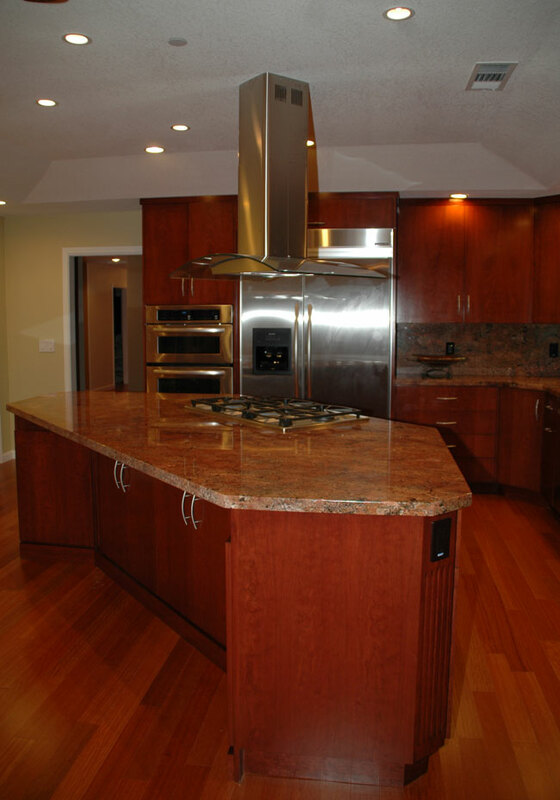 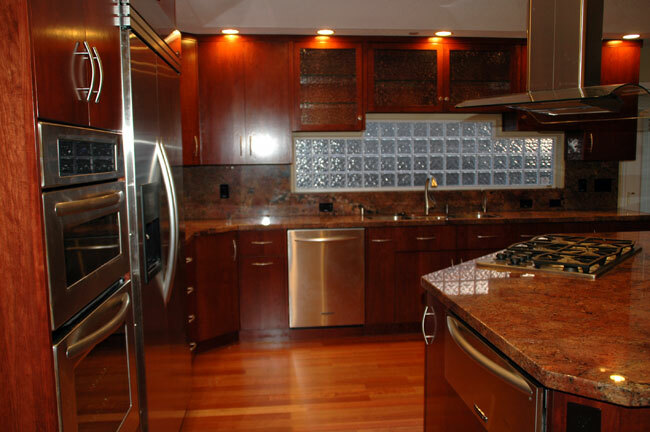 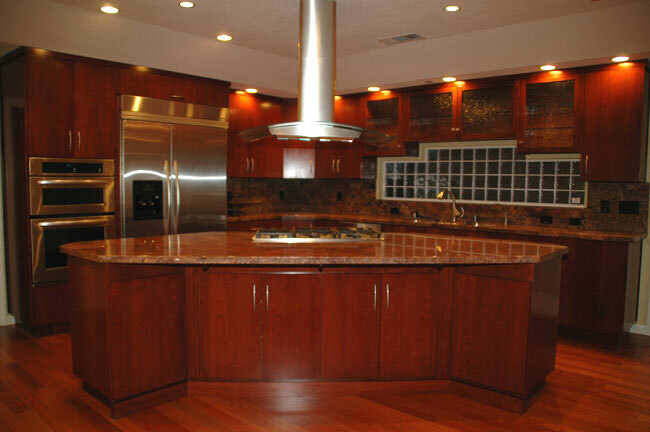 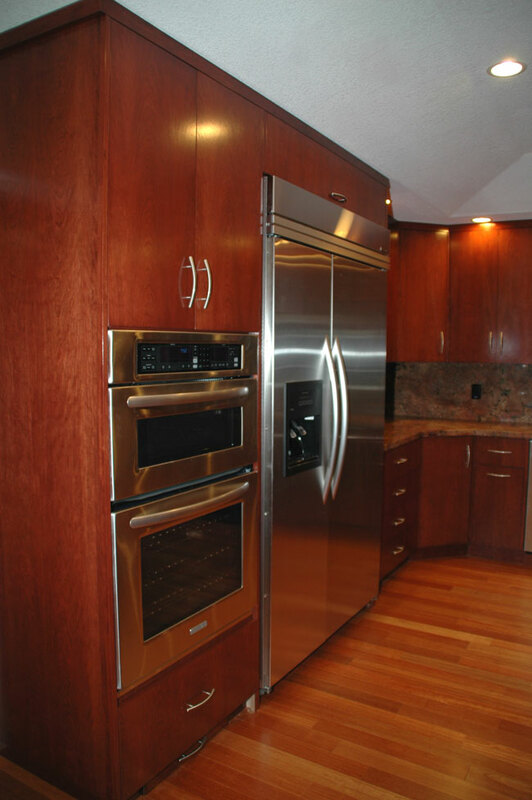 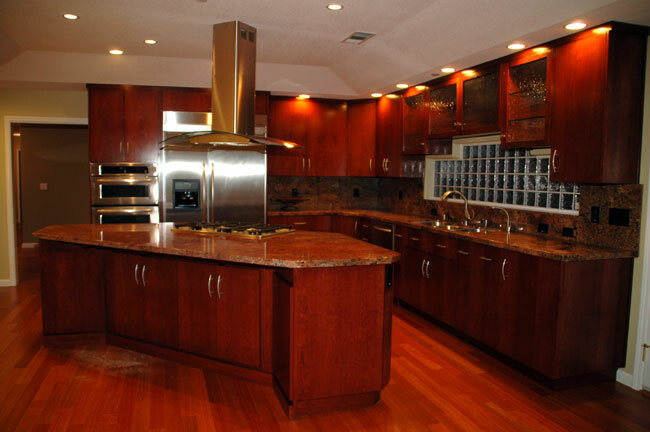 This custom kitchen renovation speaks for itself, featuring beautiful dark cherry wood cabinetry appointed with elegant granite countertops. 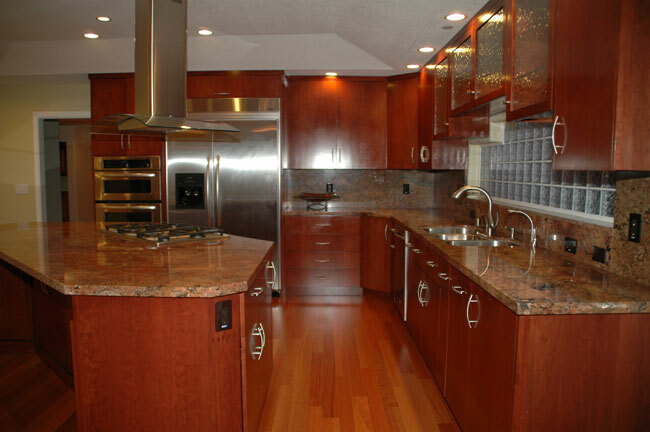 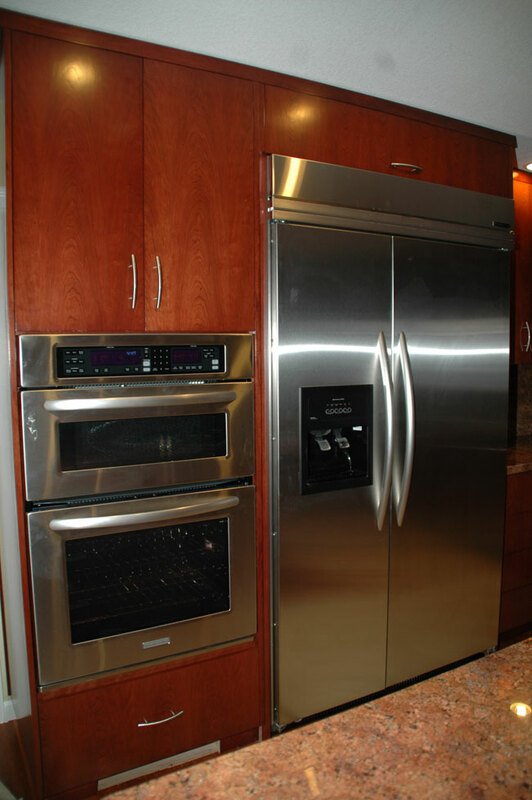 The kitchen design is completed with stainless steel appliances and brushed Satin Nickel hardware for both the cabinets and faucets. 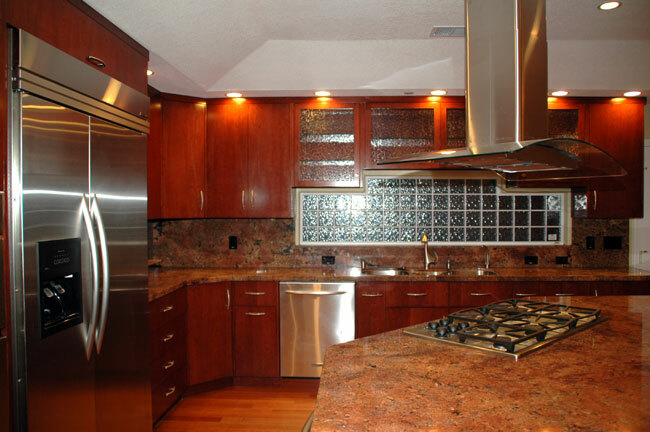 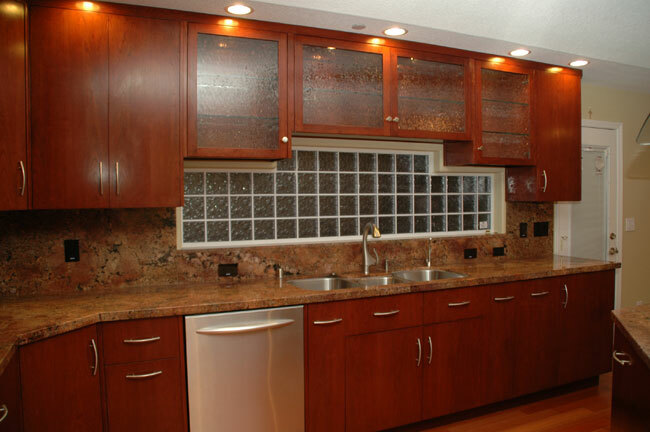 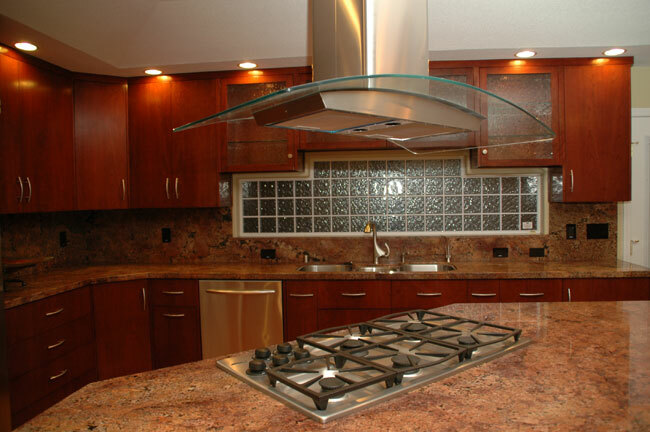 Pacheaco Construction did an excellent job of meeting and exceeding our expectations of the large scale remodeling job we put before them. 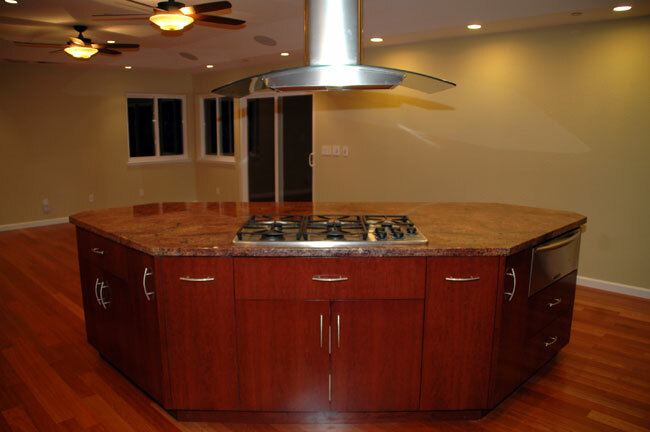 All the work performed was of the highest quality, details looked after and final open issues resolved quickly and efficiently. 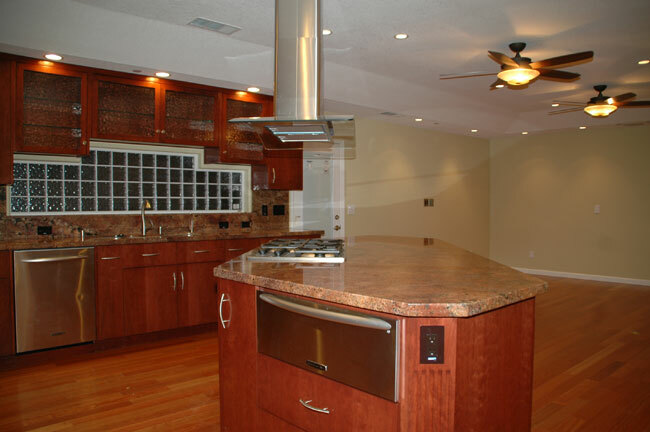 Our home was kept clean and tidy, allowing us to continue living in the home with only minimal impacts to our daily routine.